If the picture wasn't convincing enough, know that Delmonico Grill not only makes a mean steak, they also strive to use and buy local for all of their food, year round. The meat and fish are always freshly delivered every day and cooked to perfection, resulting in the food delivered to you. 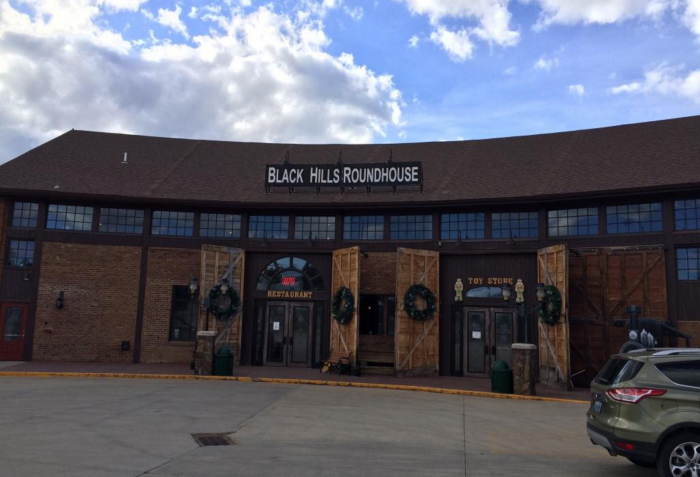 You won't find a better steakhouse in all of South Dakota - they're just THAT good! Put this one on your restaurant bucket list or you'll regret it. 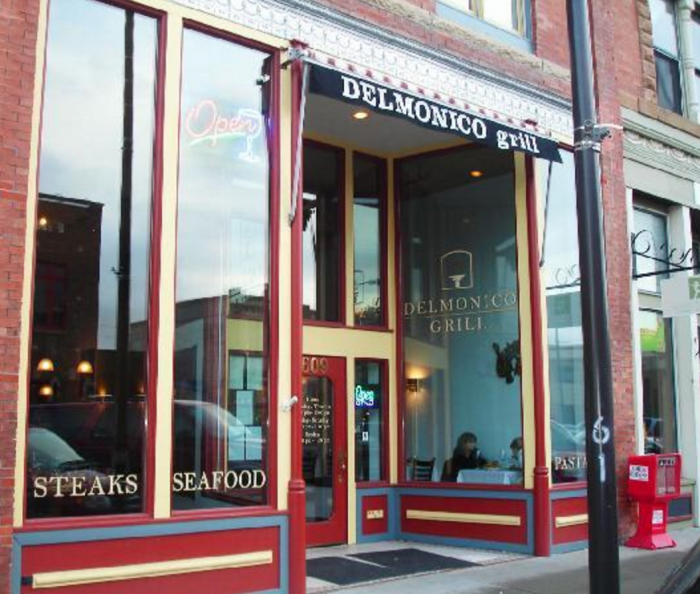 Delmonico Grill is located at 609 W Main Street in Rapid City. 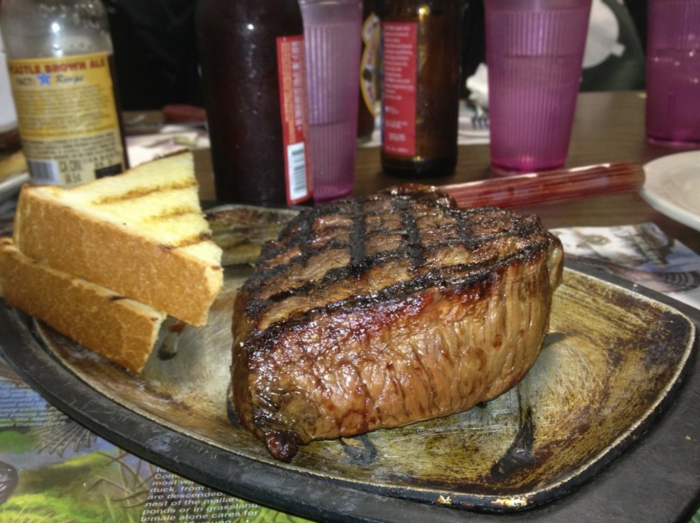 The best ways to cook up beef is what Cattleman's Club serves, and serves consistently! Whichever way you like your steak best, they'll cook it to your perfection and you'll love every bite. 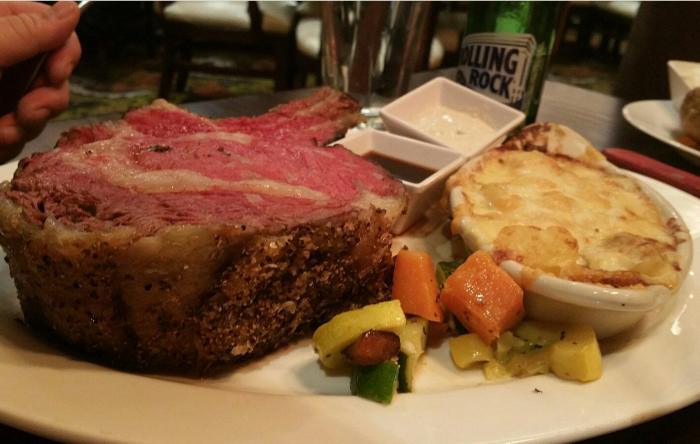 Huge portions like a juicy 24oz Bone-In Ribeye, to small portions like a tasty 6oz fillet, whatever works for you - Cattleman's will give you exactly what you want and how you want it and the result is AMAZING. 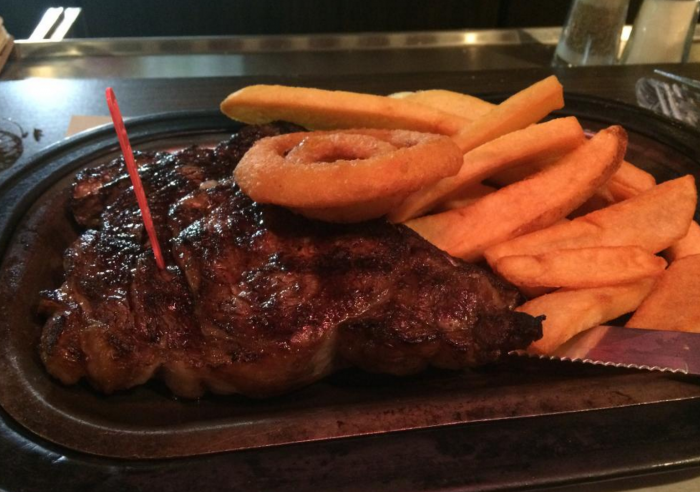 Cattleman's Club Steakhouse is located in both Pierre and Mitchell. 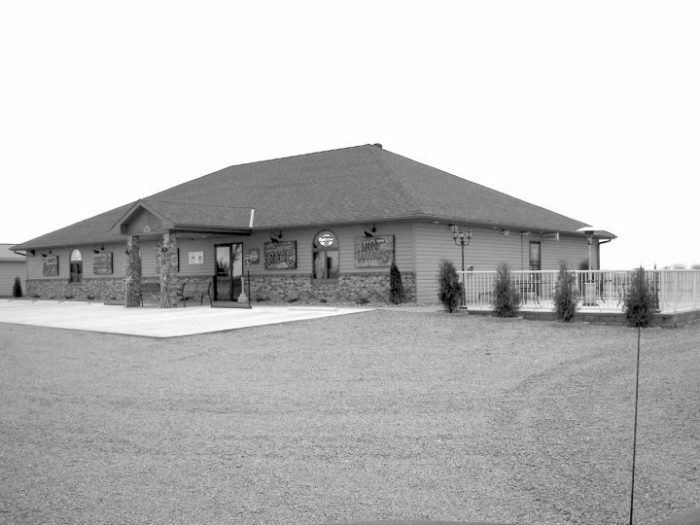 The Pierre location is at 29608 SD Hwy 34. 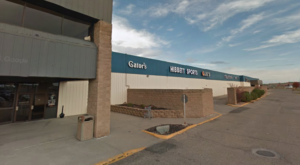 The Mitchell location is at 601 East Norway Avenue. If delicious steak wasn't enough, Red Steakhouse also serves quite the variety of sides and appetizers, not to mention perfectly cooked seafood and pasta. 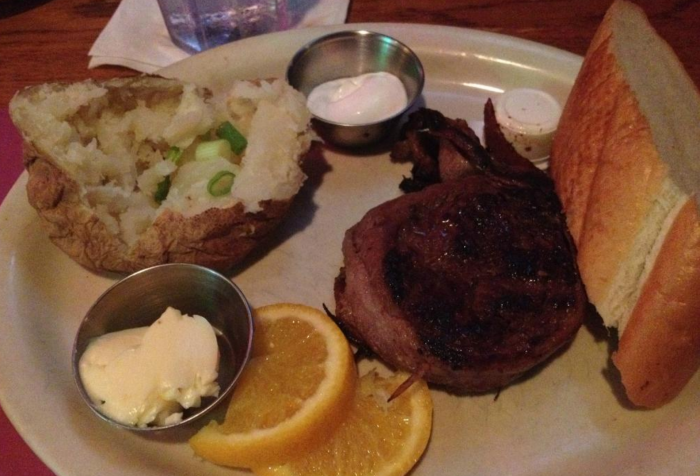 But we're here for steak, so let's explore the options: a 12oz New York Strip, a bacon-wrapped filet mignon... I'm already drooling! The best option you should definitely try is their house special Red Steak Tips, made with their top quality, in-house aged beef, cast iron seared onions and mushrooms, and topped with their special Red sauce. Honestly, everything sounds good on their menu, and you have to check them out! 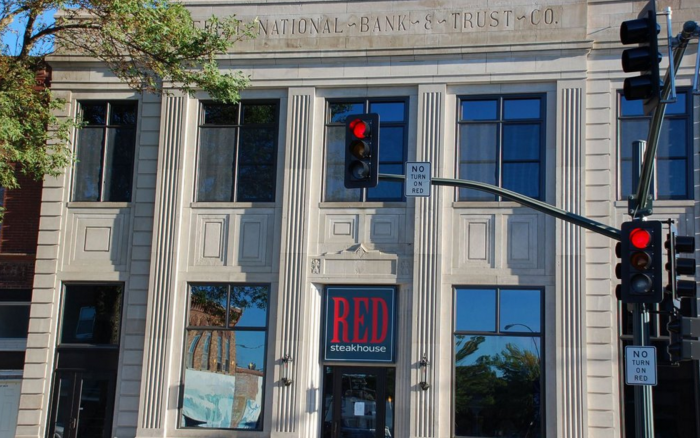 Red Steakhouse can be found right at 1 East Main Street in Vermillion. If you're curious as to what menu item this is, it's Dakotah Steakhouse's Buffalo Satay Skewers, made of course with buffalo meat on a skewer marinated with a spicy Asian sauce. Talk about YUM! And that's just an appetizer; wait until you get to the main course - your tastebuds just might explode. The menu might be a little pricy for some, but it is well worth it. Every bite you take is like a bite of heaven and there isn't a menu item I wouldn't try. 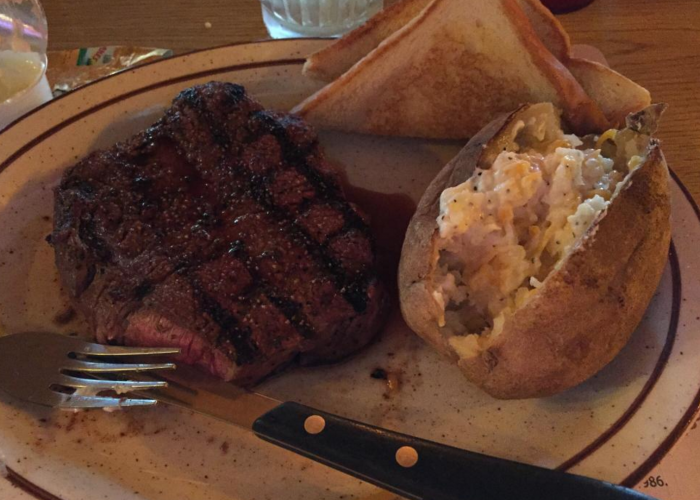 Check out the Dakotah Steakhouse for yourself at 1325 N Elk Vale Road in Rapid City. 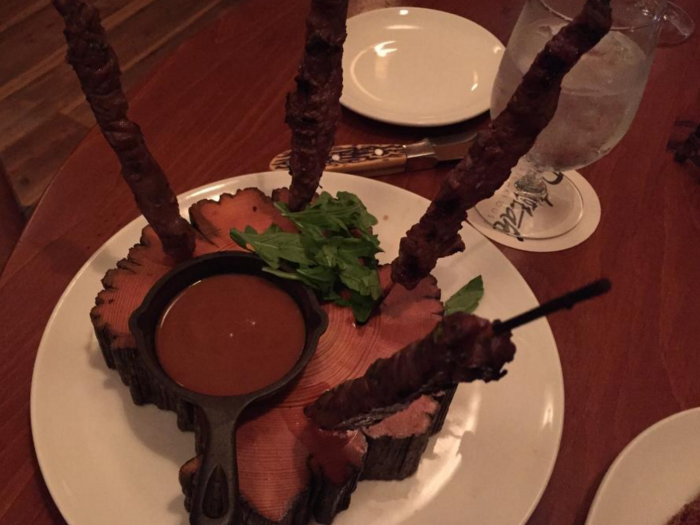 Now that looks like a hungry carnivore's dream come true! 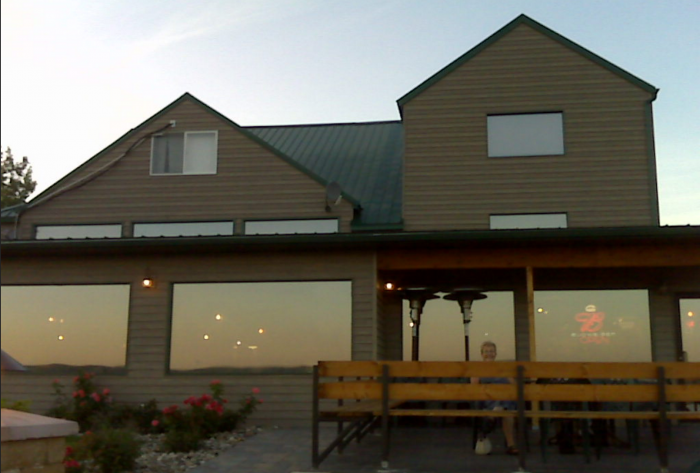 And not only is Bob's Steakhouse, part of Bob's Resort, a place that serves utterly delicious food, they also are located right on a hill overlooking Lake Oahe. If you get a table near the window, you won't regret it. The view is spectacular and unforgettable, perfect to go along with any meal. And their meals are definitely worthy to accompany such a view, trust me. 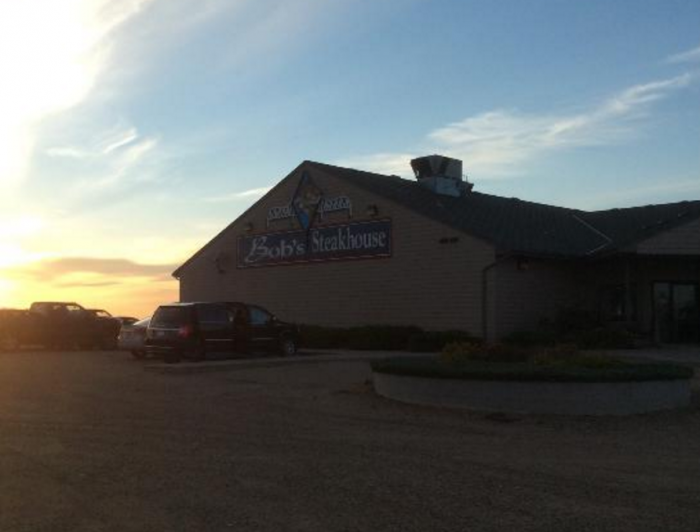 Bob's Steakhouse can be found at 29336 US Hwy 212 in Gettysburg. With such a wide variety of meat on their menu, this is the place for any meat lover. Whether you prefer beef, lamb, buffalo, or elk, they've got it all. 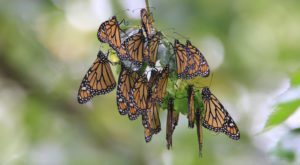 Yes - they do serve all of those, and more! Shrimp, duck, scallops... you really can't go wrong here, there is something for any appetite and every option is amazingly tasty. You'll want to go back the very next day. 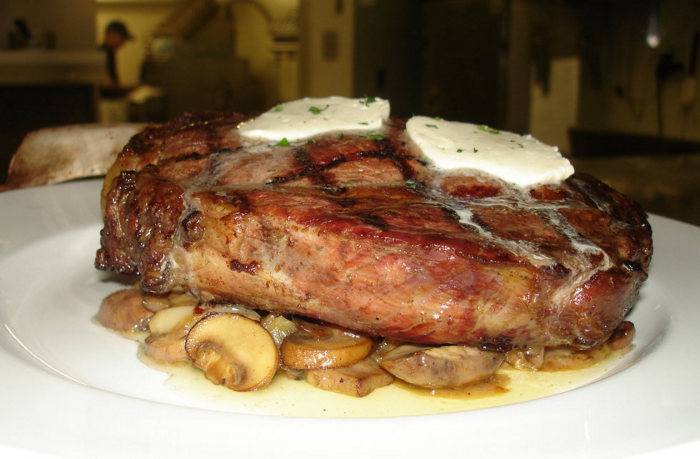 To visit Homestake Chop House, head to 106 Glendale Drive in Lead. 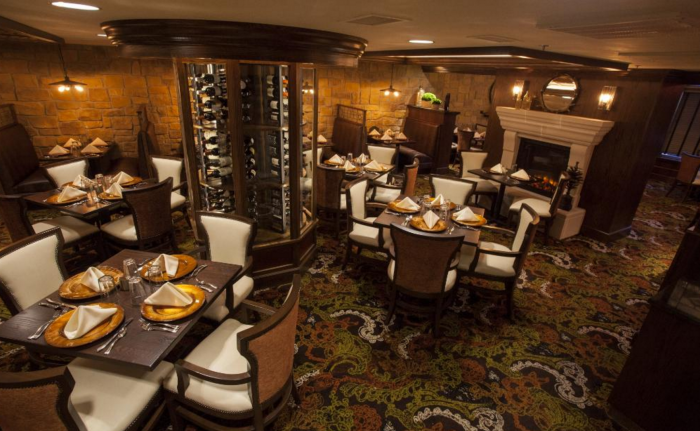 Part of The Franklin Hotel in Deadwood, this steakhouse is beautiful, fancy, and the meals are simply divine. 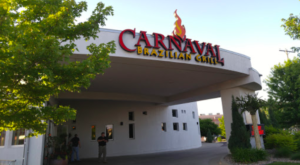 Don't let the upscale atmosphere fool you - the prices are very reasonable, you'll get more food than you can even eat for what you pay, and it is phenomenal in taste. As an added bonus, you can head to the upper level for some drinks beforehand to watch events held on the Main Street below. 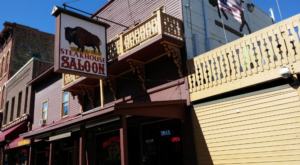 Deadwood Legends Steakhouse is located in The Franklin Hotel at 709 Main Street in Deadwood. 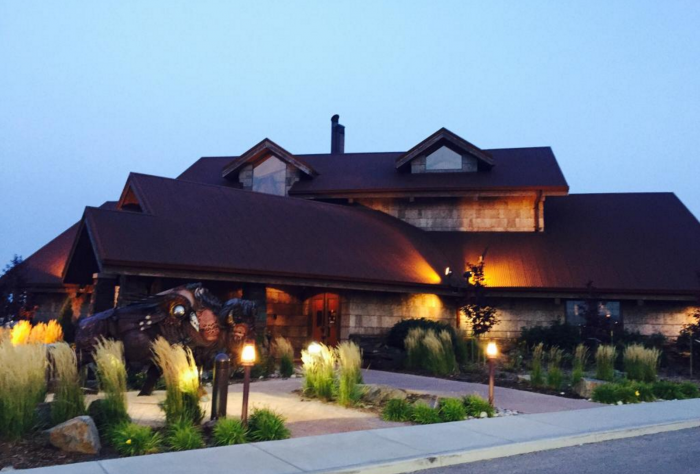 Appropriately named for its location, the 1481 Grille is located right on US-81. 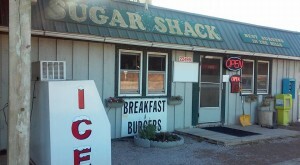 This place is a hidden gem in South Dakota and their food proves it time and time again. If you like ribs or prime rib, definitely stop here. Their entrees are fantastically tasty and you'll never have a bad meal. Their consistency and pride for their product show in everything they create, and you'll love it. To find 1481 Grille, go to 408 South US Hwy 81 in Arlington. 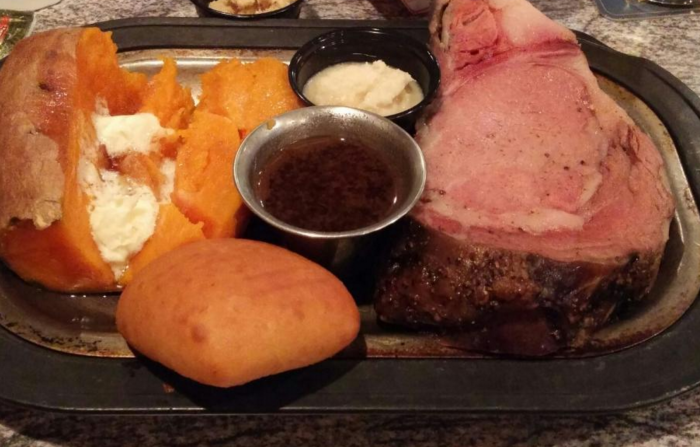 Though the Hartford Steak Co. Tavern might not be big and grand, the food is! Their scrumptious steaks will never disappoint when it comes to steak and how well it is prepared to your preference. 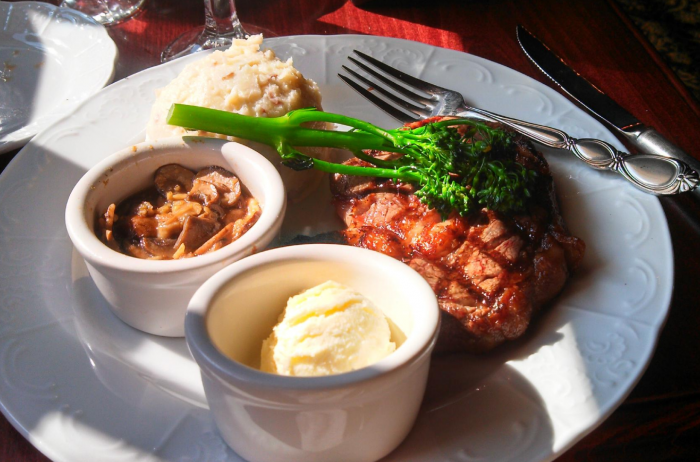 Their filet alone is worth the drive and the other menu options are tender, meaty delights. 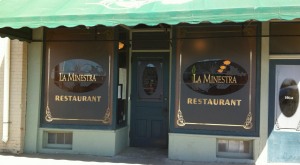 Don't let the outside fool you - the food is awesome! 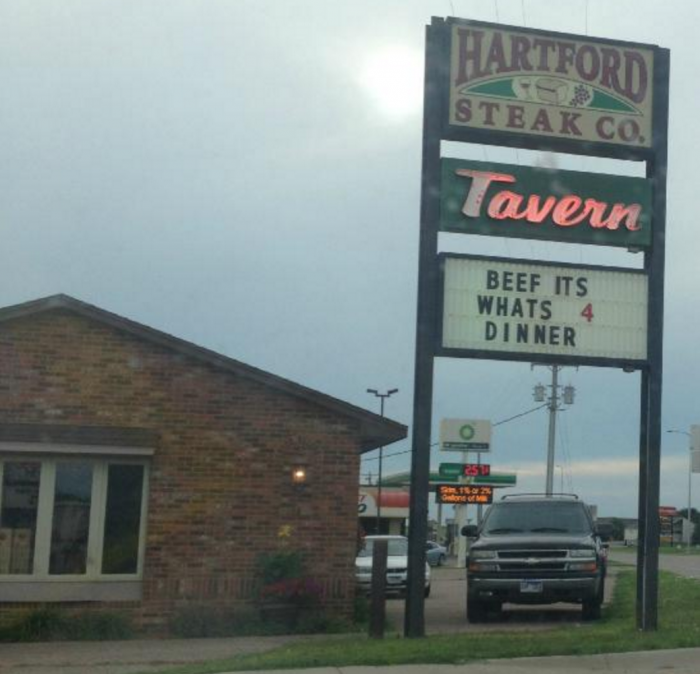 Try Hartford Steak Co. Tavern for yourself at 709 North Mundt Ave in Hartford. 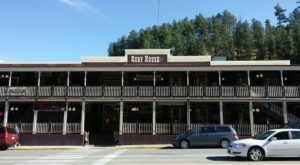 This place has been around for a while and it shows because they obviously know their stuff with their perfectly prepared classic menu items that any steakhouse-goer would enjoy. 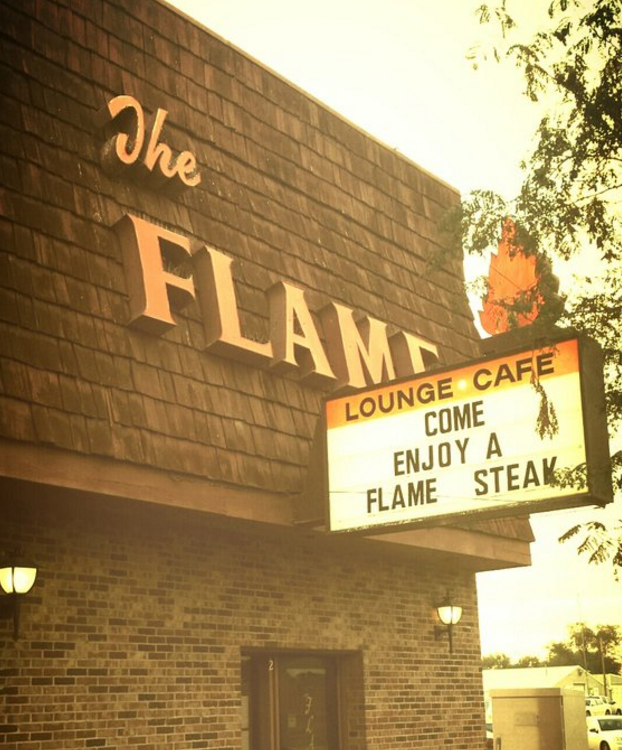 With everything from juicy sirloin steaks to filet mignon, this place is definitely the best in town. 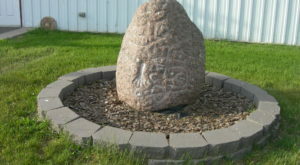 The Flame is located at 2 South Main Street in Aberdeen. All of these make me super hungry! 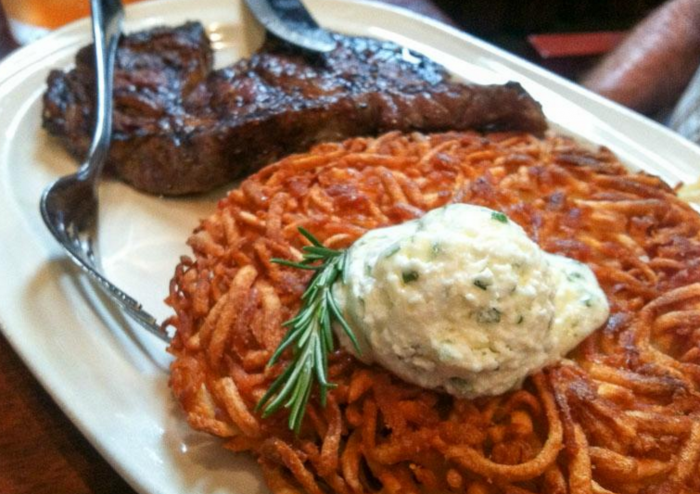 Where is your favorite place to eat out for steak? Did I miss any places that you think should be on the list?